The material of galvanized corrugated pipe is SS400 or Q235.We can provide the other materials as your demand. 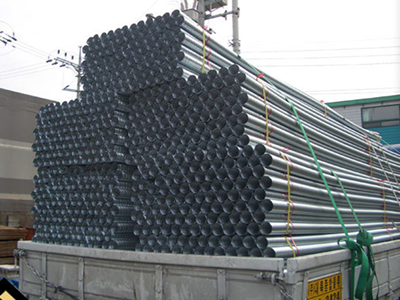 The thickness is 1.6-8mm.The diameter(span):500-8000mm.We J.S.Brown has many years of experience in this field.We can supply many kinds of prestressed corrugated pipes.Due to high quality,we have exported to many countries. 2.The use of standardized designs,factory-scale production ;short production cycle.high efficiency.helps reduce costs and improve quslity . 4.especially for loading soil ,expansive soil, loess and other special areas, to aviod distortion caused by uneven ground settlement of the culvert damage. 5.reduction of cement. sand,gravel and other conventional building materials used.environmentally significant. Looking for ideal Prestressed Corrugated Pipe Manufacturer & supplier ? We have a wide selection at great prices to help you get creative. All the Galvanized Corrugated Pipe are quality guaranteed. We are China Origin Factory of Plastic Corrugated Pipe. If you have any question, please feel free to contact us.